Also wrestled as Chas. W. Andrews. Dwyer announced that this is his last match of the season in St. Paul. This is in addition to the regular billing at the garden. After the match it came out that George Little was actually Dan McLeod and he would be arrested on May 24 in Hamilton, Ontairo on charges of 'Conspiracy and fraud.' His manager, Perry, was also arrested for the same charges. They were alleged to have worked together in the "Swindling of a man named Thompson out of $2,650," at the match. "Thompson says he gave the money to Perry to bet on Pons, and that Perry 'fixed' the match to make it appear that Pons had really lost." McLeod is listed as the Middleweight Champion. Some places listed the title as the World Championship. McLeod is listed as the World Heavyweight Catch-as-Catch-Can Champion. All the Swanson's are brothers. Attendance: "The Largest Audience That Has Yet Witnessed A Wrestling Match In This City"
Don't believe this to be the real Dan McLeod. Pierson is listed as the Pacific Coast Champion. McLeod is listed as the former World Champion. 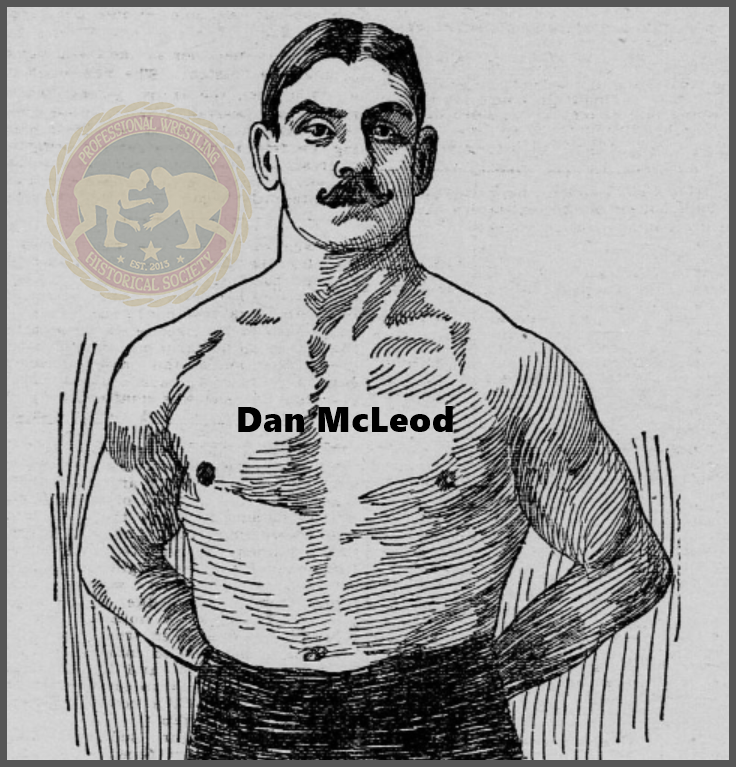 Attendance: "Largest Crowd That Ever Witnessed A Wrestling Bout in This City"
Before the match McDonald announced that he was "An unknown, and he hoped that if he should be guilty of anything ungentlemanly in the contest that the crowd would excuse him and lay it to ignorance and not in intent." It's said the day after the match that McDonald was actually "McLeod, that he is a Canadian and has wrestled with all the big men in the country."